This summer has been awesome, but very, very busy. I had a blast playing with my kids, while working in time to research, write, and edit my writing project. Now that the finished manuscript is in my editor's hands (literally! ), I've found myself wondering, "Okay, now what?" 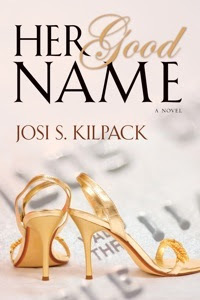 I was thrilled when I checked my mail Friday afternoon and found my pre-ordered copy of Her Good Name by Josi Kilpack just waiting for me to rip it open! I read several books over the summer - a few were great, others were mediocre, and a few more where just downright, well, not so good. I was so hungry for a good book that I devoured Her Good Name Saturday night and Sunday afternoon. And let me tell you, it was incredible! I was pulled right in from the beginning - a mysterious client putting in an order for new identities, one with very specific requirements . . . Which leads us to Chrissy and her "date" with Micah, or as she refers to him "Mmmmmmmm" (not just cause he's handsome - but because she can't remember if his name is Matt, Michael, or what. Hence the Mmmmmmm). I thought this book was going to be more romancey - I missed somewhere that it's a romantic suspense. I absolutely loved the twist of who stole Chrissy's identity and the chaos it throws into her life; think drugs, guns, and somewhere in there is a baby abandoned at a hospital and the mother is listed as Chrissy! I can't say too much more. I'd hate to give away all the really good parts. But I loved all the characters in the novel - especially Chrissy. Her attitude, colorfulness, and love of good shoes totally spoke to me. All in all, this is another FABULOUS book by Whitney Award winner Josi S. Kilpack. And yep, I'm definitely nominating it for the upcoming Whitney Awards! Chrissy is having an identity crisis. 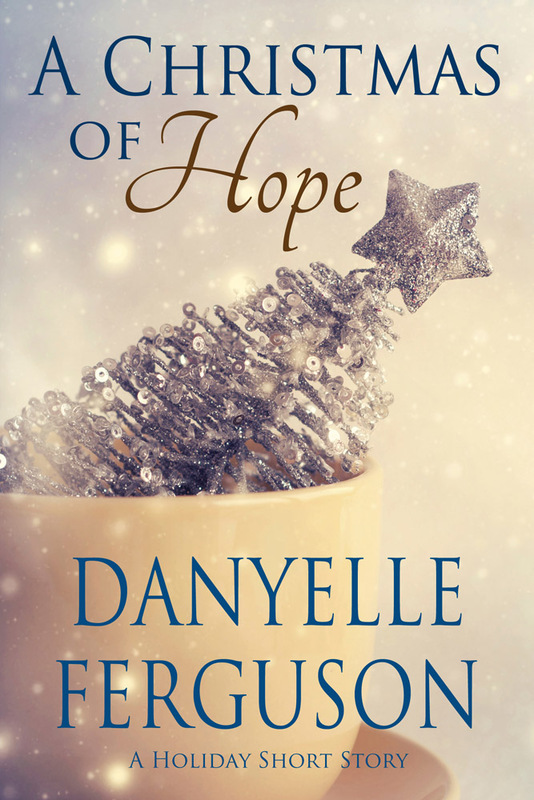 As a single woman and convert to the Church, she has always managed to find her place in life-- at least until someone else begins using her credit cards, her bank account, and, most important, her name. Now the real Chrissy must prove her innocence against a growing pile of collection notices and unpaid bills. But with no job, no money, a warrant for her arrest, and a closet full of high- heeled shoes, a girl can only get so far. If you live in Utah or Southern Idaho, and don't mind doing some driving, I totally encourage you to attend the opening night party for Her Good Name. When I lived in Utah, I car-pooled with some friends of mine from Orem to Brigham City to attend the opening night parties for both To Have or To Hold and Unsung Lullaby. If we hadn't moved to Kansas, I would have totally been there for Sheep's_Clothing as well. It's a blast chatting with Josi and all her nutty family and friends - and hey, there's also really awesome door prizes! So if you're looking for a good date-night or Girls' Night Out, this is it! QOTC Rating: Five Whopping Stars! I love Josi's books! She does such an amazing job. I loved Sheeps Clothing. sigh. We're going to Oklahoma next week to see my son graduate...I'll wave to you!! Gaynell - I'll wave back!!! What part of OK? I have family that lives in Tulsa. Enjoy the graduation! Great review! Sounds like an awesome book, and Josi is a terrific writer. I can't wait to read it. By the way, thanks for stopping by my blog and commenting on "Not the Colonel's Chicken." I loved your comment about eating KFC that night! 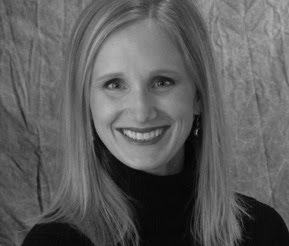 Hi Cindy - I love your blog. You're just so dang funny! And I agree, Josi is an awesome writer. Thanks for the review Danyelle. 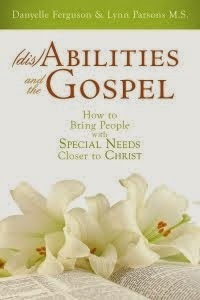 Another great book to add to my list. Josi has a way of entertaining you, and also scaring you to death about all the whackos out there. I'm sure this will be another great book! Cathy - Be sure to add it to the top of the list! I think you'll know you'll really like this one! Janette - I agree, especially after Sheep's Clothing. That one totally freaked me out about my kids using the internet. Freaked out is probably too strong. More like, it certainly opened my eyes. Her Good Name did the same thing, but in a less scary way. I'm much more cautious about my passwords and other sensitive information. The author notes at the end were full of really good information on how to keep your identity safe. This is one I'm really looking forward to reading. Thanks for the review. I can't wait to read it myself. When you said you thought it was going to be more romancey--did you mean it didn't have as much romance as you were hoping for? I always like plenty of romance in the books I read. Oh, good. I'm definiely going to read it. Thanks for the review.